Managing an online shop is not an easy task. Some of the worries that all online shop managers have is how to quickly move stock, attract new customers, or reach target sales. Offering free gifts is one of the ways to achieve these. Who doesn’t like gifts? Everyone does! Don’t start thinking that this strategy will ruin your business. No! Using the Free Gift strategy entices the customer to do something to earn a gift. Why should you offer free gifts? Value and price are not the same thing, when both the seller and customer are focusing on price, you loose. The benefit the customer receives from your offer is what matters, therefore offering a gift, is a sign to your customers that you feel grateful for their purchase and at the same time inciting them to make another purchase. When used tactically, you can drive your customer into buying more without them noticing. For example, buy product A and get product B as a free gift, knowing that both products will be useful to him. Will you often buy from a shop that always (or sometimes) gives you something when you purchase from them? Yes? Exactly! So on a purchase made by the client, if you top it up with a free gift, the client will probably consider you as generous. And that’s how you encourage a customer’s loyalty. How to implement Free gift on your Woocommerce shop? 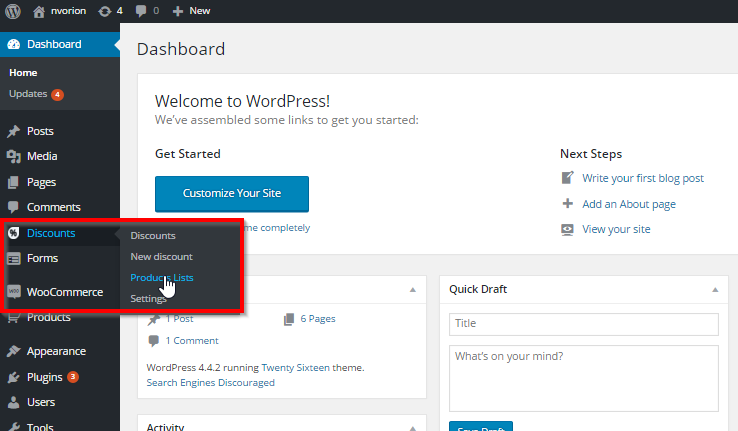 To help you define and give out free gifts to your customers, when needed on your online shop you can install the Woocommerce All Discounts plugin. There are two ways of creating a list: a dynamic list and a static list. Dynamic: on custom request, it Allows you to select the products in the list that matches multiple criterias. Fourth step: Create your free gift discount, using the list previously created in the third step. If the discount has to be applied following some particular rules or conditions (for example; users role), please make sure you apply those conditions before selecting the Action and the Gifts list. 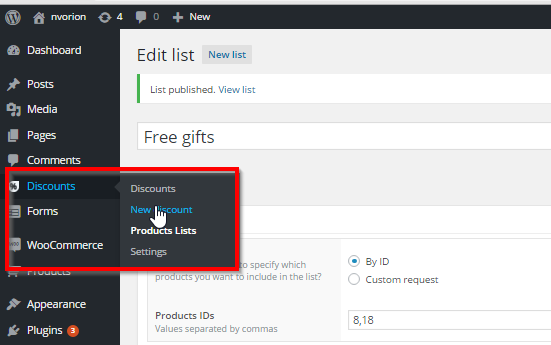 Now you can easily create a free gift discount, using the plugin WOOCOMMERCE ALL DISCOUNTS. We would like you to share your thoughts with us in the comment space below. Here is our question for you: have you tried a free gift discount on your shop?How did it work for you?